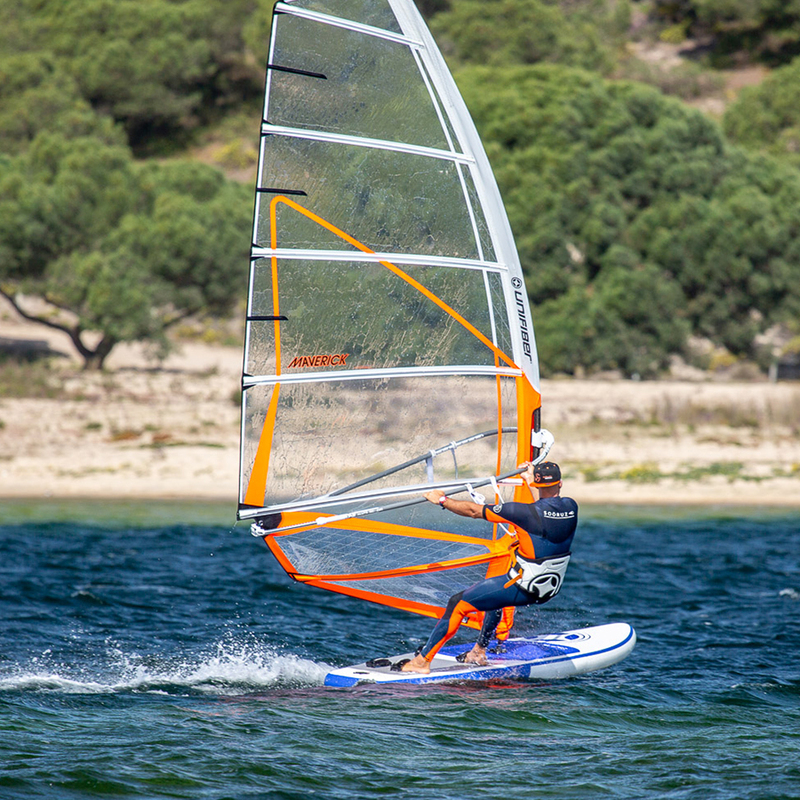 Elevate is the easiest and cheapest way to start your adventure with planning windsurfing action. It has been designed to give the performance as close as possible to stiff boards. 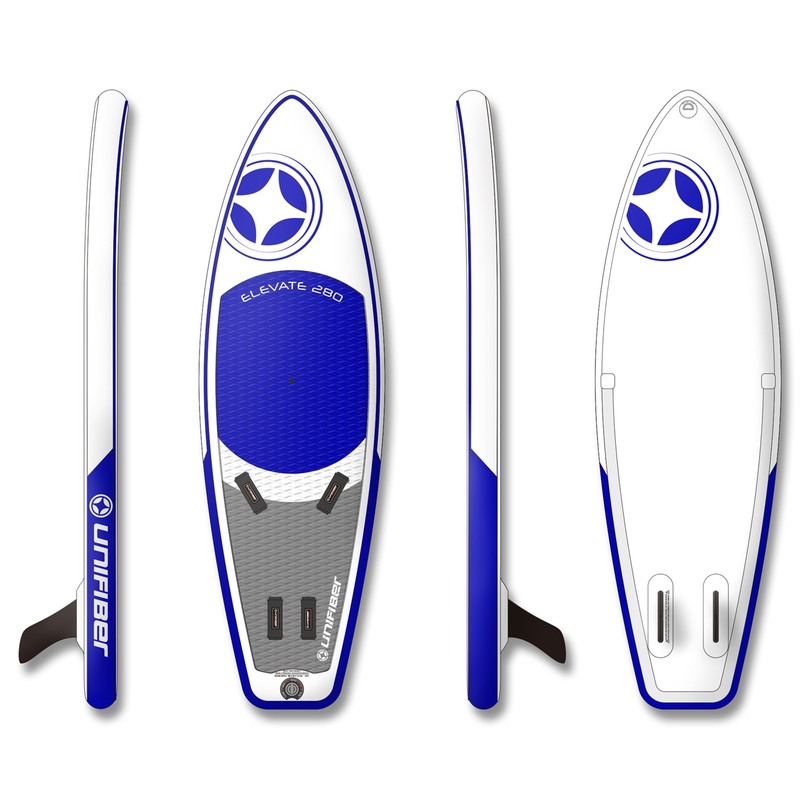 The compact shape guarantees early planning and makes maneuvering easier. 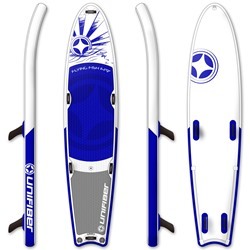 Sharp PVC rails minimise drag and provide better grip. 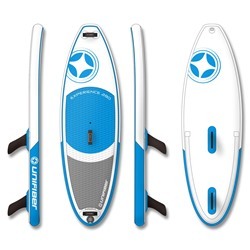 After the session, you can simply roll up the board and put it in your backpack. 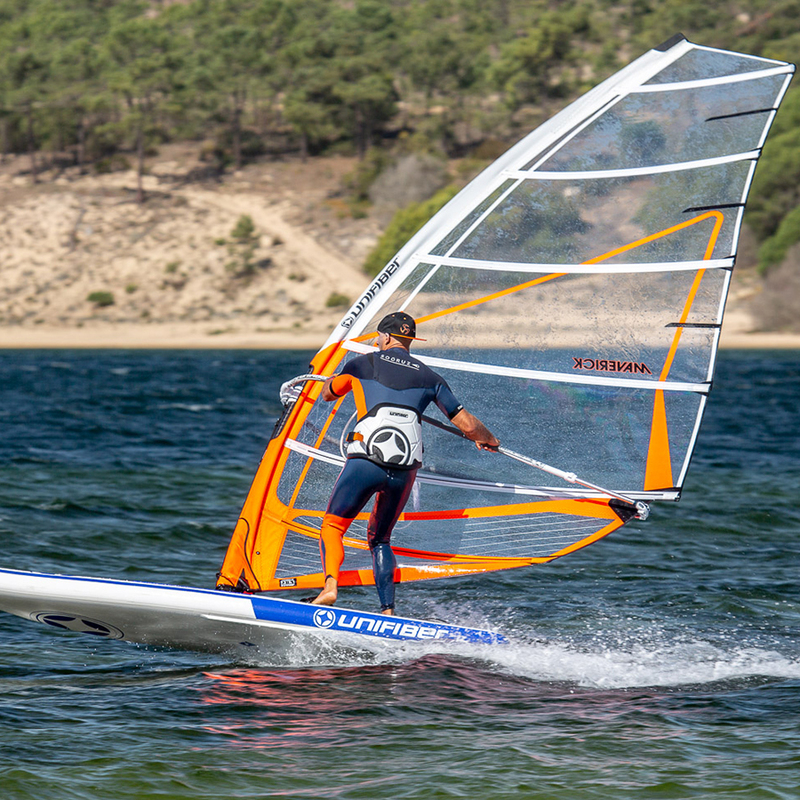 No conventional windsurfing board can be stored and transported so easily. 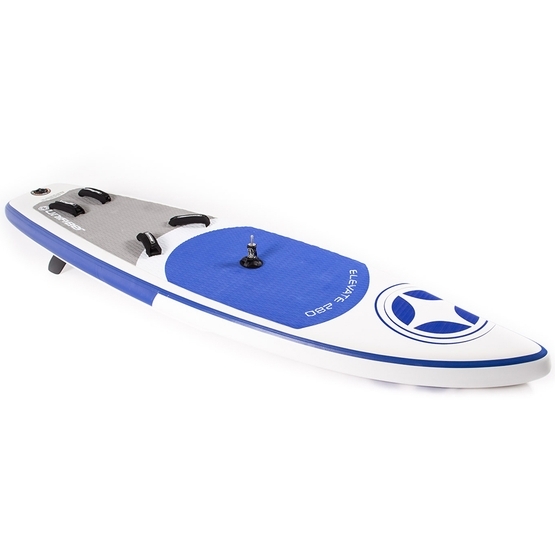 The board is made using MSL® FUSION dropstitch material, which is very durable, provides excellent stiffness and low weight. 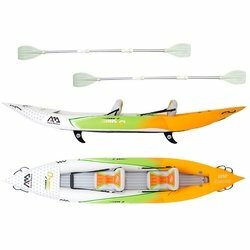 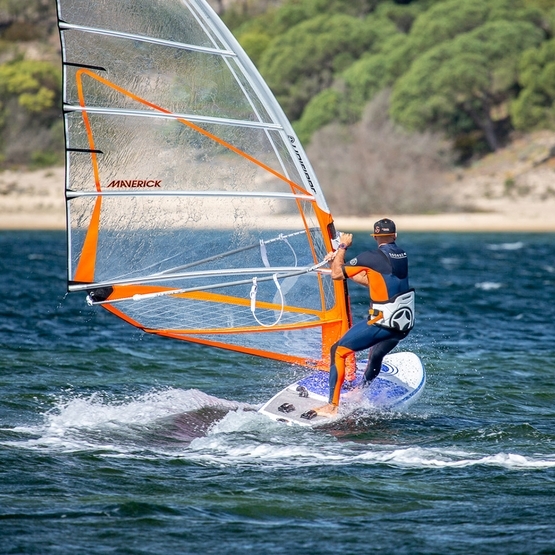 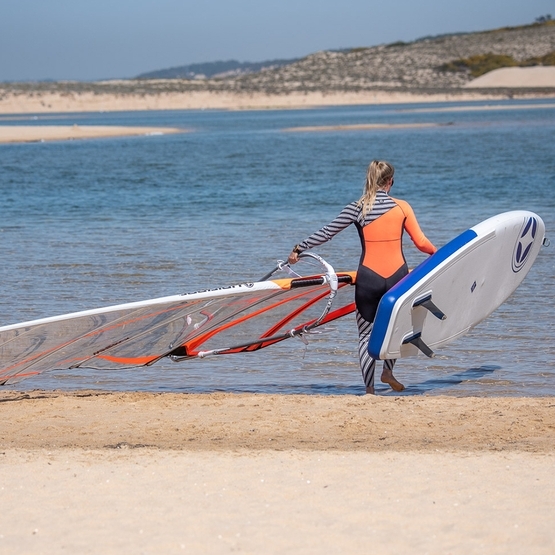 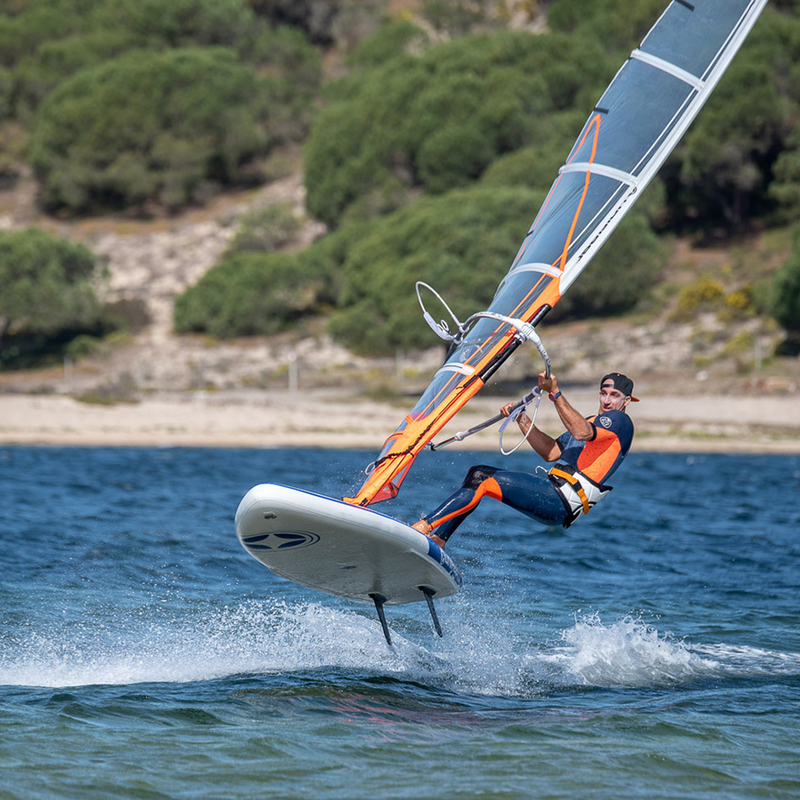 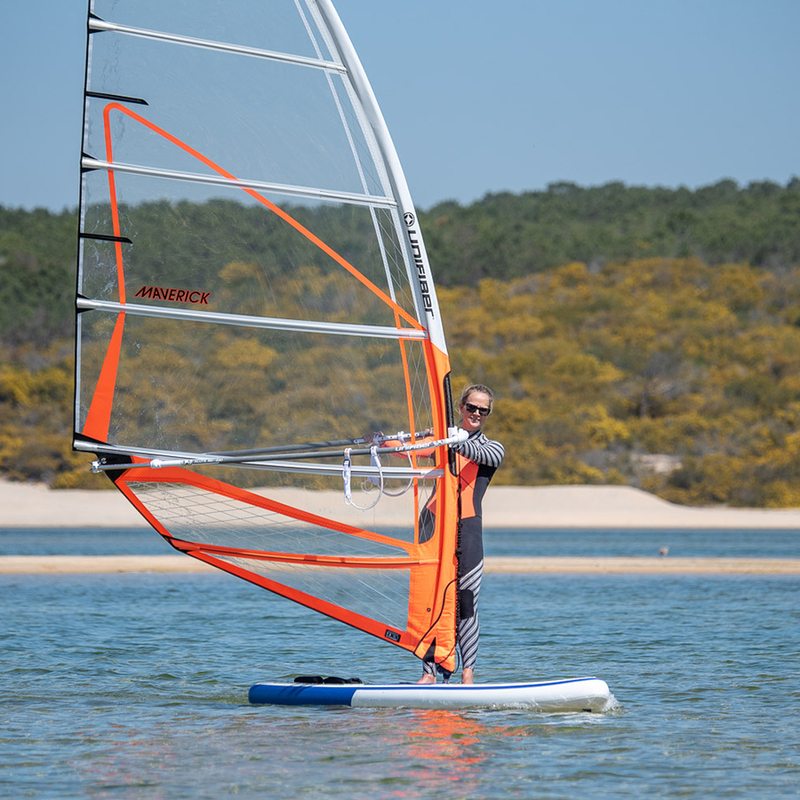 Elevate iWindsurf 280 features 4 footstraps, a large deck covered with EVA foam, which provides good grip in all positions and during all maneuvers. Important: always use a baseplate with cardan joint.